Most of the time our workouts will be using our own bodyweight , so exercises like push ups, lunges and harder exercises like pull ups and dips are form of exercises that you should focus on, Calisthenics exercises are exercises consisting of a variety of gross motor movements – running, standing, grasping, pushing often performed rhythmically and with minimal equipment, so essentially bodyweight exercises, but of course we will have our equipments and tools such as Kettle Bell, Suspension Training (TRX) , Medicine & Slam ball, Battle ropes, Powerbags, Resistance band not only to gain strength and endurance but will also increase in your mobility and core strength.We don’t just correct your technique or motivate you but all the exercises and workout routine will be design by us so that you will get the most efficient workout each time you come in! 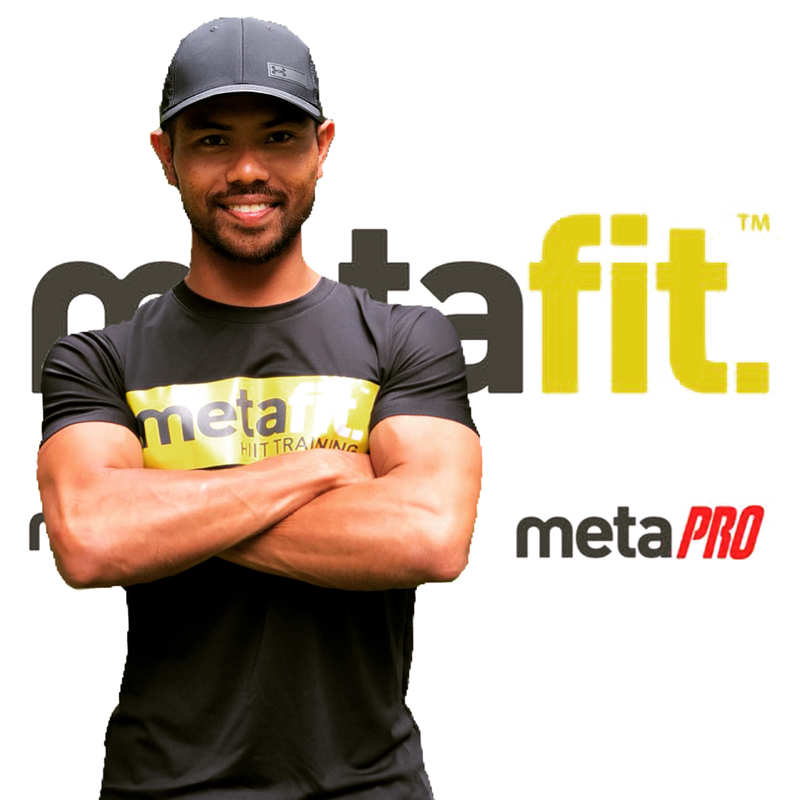 The Metafit™ is the original 30 minute, non choreographed, bodyweight only HIIT workout, with over 10,000 coaches teaching worldwide. No equipment, no choreography and little space needed for a workout that gets amazing results in 30 minutes. To change their shape you must first change their metabolism. Metafit works! Another level up will be MetaPWR. MetaPWR is Power. Different training principles. MetaPWR uses equipment (Kettlebells, Power bags, Battle Ropes, Wall balls). Same duration, 30 minutes of HIIT but different intensity. Metafit™ workouts can be used as a group studio class, Bootcamp or a one to one training session, Its tough, thats why it gets results! Adult Fitness Bootcamp is perfect for individuals who want to get back in shape. For starters, the training will be adjusted according to your fitness level and progress gradually. Our workouts involve bodyweight exercise, from push-ups, lunges to harder exercise variation like pull-ups and dips. So you don’t have to worry we’ve got it all covered! Our bootcamps will be running at bedok reservoir park, Heartbeat Bedok, East coast park, Tampines sun plaza park and Our Tampines Hub, but if there are any areas or locations that you want us to conduct please feel free to contact and propose to us! Each sessions will be 30mins HIIT consisting of our warm up, workout, cool down and stretching! Few minutes spare time for questions and chats!! Each package has a validity period. All unused sessions beyond the validity period will be forfeited. In the event of bad weather, the trainer will decide if the sessions will continue to proceed.